You could probably write a lengthy book about the filmmaking process of “Justice League”. And then, adapt it as a suspenseful film with a bittersweet ending. 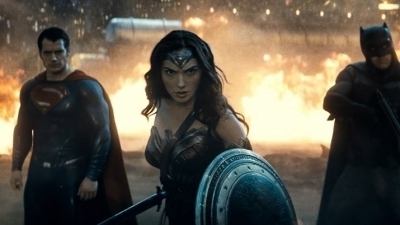 The idea of the movie was born as early as during the production of “Batman v Superman”. A two-part story about DC superheroes team-up was announced just then. However, the harsh (and a bit unfair, to be honest) reviews of “Batman v Superman” forced the filmmakers to change plans. The script, originally written by Chris Terrio, was changed and at some point, Joss Whedon was introduced to rewrite some bits and pieces. And although you can say a lot about Whedon, one thing is for sure: he does have an ear — and a pen, of course — for witty dialogues. Another factor that imposed the changes was, of course, the studio. Warner Bros. is known for allowing their filmmakers for a certain amount of creative freedom (that’s why, say, Christopher Nolan works with them so eagerly), but desperate times call for desperate measures. And finally, a personal tragedy made Zack Snyder step down from directing the film. Help came from Whedon again, who took over the reins. And it caused quite an unprecedented situation — we all know he had previously made two movies based on a similar concept for Marvel. Anyway, he helmed lengthy reshoots and kept watch over the post-production process, which is one of the most important stages of filmmaking, upon which the final shape of the movie depends. Funnily enough, this not the first film based on DC Comics which had two directors. The older fans may remember “Superman II”, whose production had to be taken over from Richard Donner by Richard Lester. Of course, the situation was different, though there were some similarities. As you may know, despite all that, “Superman II” was received warmly and today it stays a classic. So how did “Justice League” do? Feeling remorse after Superman’s death, Bruce Wayne decides to put together a team of superheroes to face a dangerous threat. This is, more or less, the official story synopsis of “Justice League” and you don’t really have to add anything to make it more detailed. What you get with this film, is a typical three-act story about a superteam. First, the team is put together. Then, they fight their first battle, lose it and regroup. And, after that, they win their final battle. It’s a cliché structure and, as a result, the plot of “Justice League” does not hold many surprises. But it’s not necessarily a minus, not at full capacity at least. That’s because “Justice League” manages to bring more to the table. 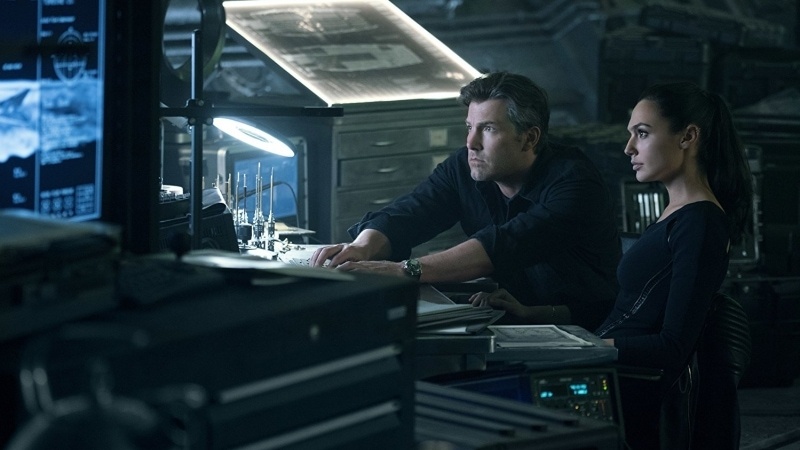 The most interesting theme of the movie connects back to “Batman v Superman” and it’s a pity Chris Terrio didn’t get to fully develop it. As you may remember, Superman — thanks to his superhuman strength and abilities — was seen as a god. Worshiped by some and causing fear and hatred in the others, on one hand, he was celebrated as a saviour, and on the other one, hated as a dangerous alien and intruder. His death is a cause of great mourning, of course, but it also brings chaos to the world. The criminals feel more confident, the religious extremists come out of shadows… Even the main villain attacks because of the Kryptonian’s absence. The theme is fascinating and shows, quite distinctly, that we appreciate some things only after we have lost them, and, on the other hand, that a loss can lead to extreme measures. Had the studio granted Snyder full creative freedom, we might have had a film revolving entirely around that theme. That being said, what we finally have got certainly doesn’t seem detached. Instead, it makes “Justice League” richer. Most of the movie is about a banal, but heart-lifting theme. 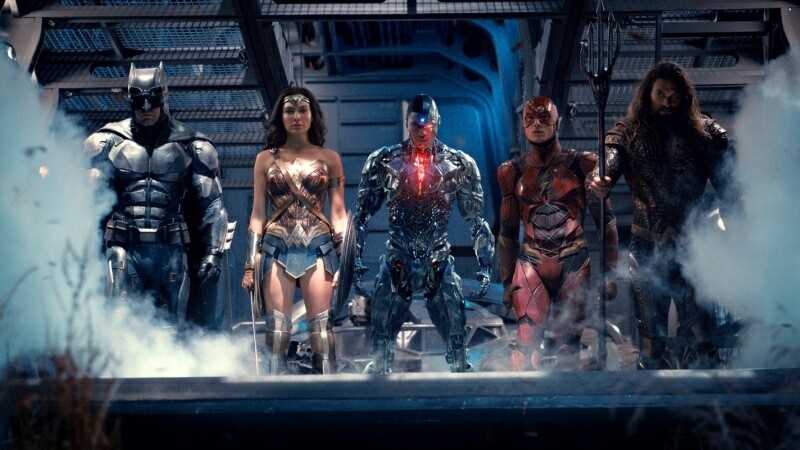 From the very start, “Justice League” was designed as a certain conclusion to the plot threads and themes introduced in the previous DC films. In “Man of Steel” and “Batman v Superman” the otherness was depicted as a source of fear and hatred. In “Justice League” they finally make it clear: ‘That’s not the way’. If someone is different, that’s not a reason to isolate them. It isn’t conflict that makes us stronger, it is cooperation. ‘That’s pretty obvious’ you might say, and I agree, but in today’s world, this is a very important message. To see human in someone who is different, and come together to achieve common goals — that’s the way to go. At least, for the overly enthusiastic idealist that is me. And I am happy that “Justice League” has that optimistic, hopeful and wise message. But enough about the message. Let’s talk about our heroes for a while. I was afraid that the short duration of the film — mere 120 minutes — would make it difficult to introduce each character properly. But they managed to do it right. We get to know a little bit about every superhero in the movie. I guess the first version of the script contained even more material, but the final version balances exposition and further action well enough. So, whom do we watch? There’s Batman, who is feeling remorseful after the events of “Batman v Superman”. His actions lead — or at least this is his intention — towards redemption. At the same time, as in the previous film, Batman is frequently desperate, which sometimes has bad consequences. And that’s certainly a good way to portray this character. 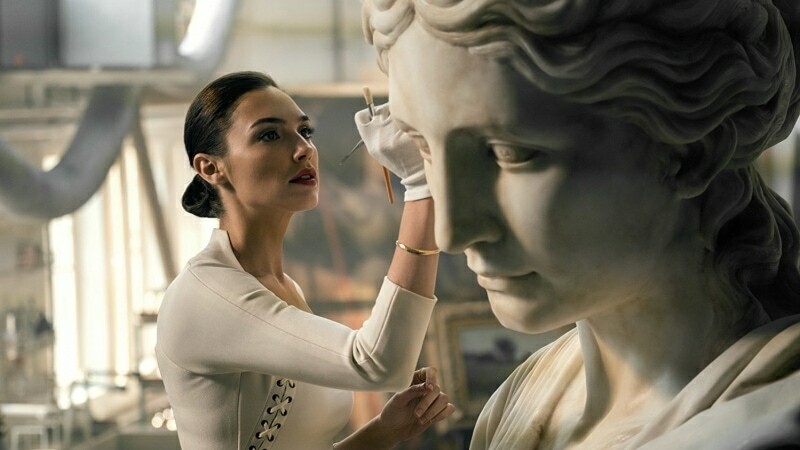 It must have been difficult to combine the hopeful, loving Wonder Woman from her solo film with a bit cynical, and resigned Diana from “Batman v Superman”, but the writers did it. 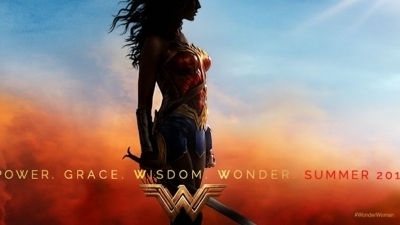 Wonder Woman gets an intriguing, though simple story: she grows to accept her role as the defender of humanity again. 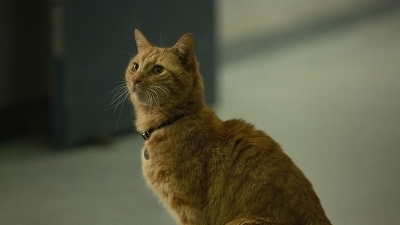 One of the best characters in the film is Flash. He is portrayed as a fairly new superhero, not the experienced crime (and giant gorilla) fighter from the comic books. We see him as an intelligent, enthusiastic, though a bit asocial young man who begins to discover his abilities. This might be not exactly faithful to the source material, but the film’s Flash is so likeable, it doesn’t make any difference. A liked Cyborg’s story. Regaining mental stability after a dangerous accident and getting cybertronic body modifications is, on the one hand, a metaphor for coming to terms with disability, and, on the other, for overcoming one’s weaknesses and reaching for what’s the best. Cyborg exploring his abilities and accepting his otherness is a plot thread which connects to the themes of the movie in a great way. Aquaman is a superhero who — for those less acquainted with the source material — makes you laugh, rather than feel impressed. The creators of the movie are well aware of this and their version of Arthur Curry was designed to overcome the stereotypes. In some respects faithful to his comic book depictions, in some less so, Aquaman is a badass with a heart of gold. And yes, it sounds a bit oxymoronic, but it works like a charm. And then, there’s Superman. 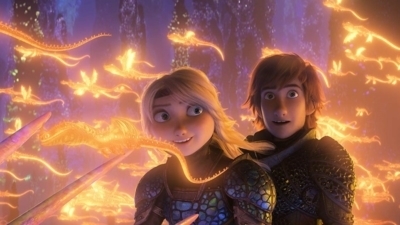 I don’ want to spoil how he appears in the movie, but I will say this: I love how the character evolved and I can’t wait for his next adventures. There are no superheroes without supervillains. Unfortunately, Steppenwolf is disappointing — mainly because he seems underdeveloped. He has a great potential (I mean, come on, he’s one of the New Gods and an ally of Darkseid’s), but don’t know much about his motivations. Perhaps the material had been in the script before it was retooled and for some reason, Steppenwolf’s character has been underplayed. Well, his introduction into the universe does have one big advantage: it allows to expand the DC on film mythology. And for the most part, it works great. One final thing “Justice League” screenwriters do well are the dialogues. Whedon was the one who said: ‘Make it dark, make it grim, make it tough, but then, for the love of God, tell a joke’. While at Marvel they tend to focus on the ‘tell a joke’ part too much, in “Justice League” the formula works. Humour and jokes are just an addition to the story, not a way to cover bad writing. Despite the screenplay not being supersophisticated, the people behind it believe in what they wrote. They don’t need the comedy to cover the script’s flaws. Instead, they work in the jokes to make the story richer. And thank God they do. 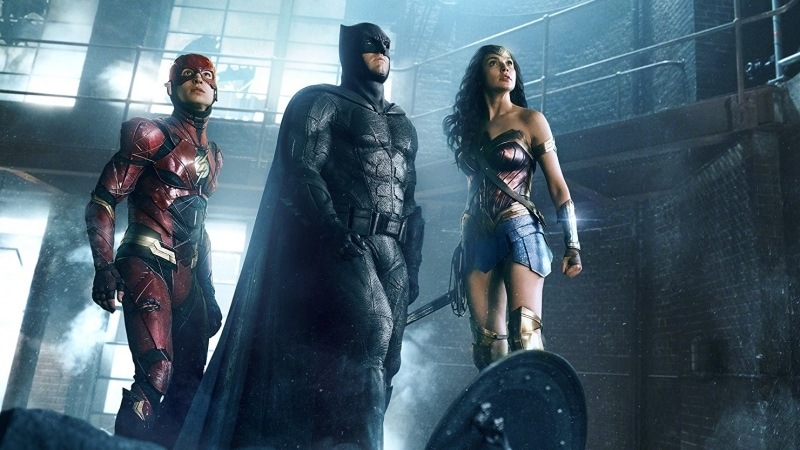 Ben Affleck said that “Justice League” was an interesting product of two directors. And he was right. On one hand, we get what’s best in Zack Snyder’s work. There are beautiful, comic-book-like shots. There’s a lot of slow-motion, which makes the action scenes compelling. There’s an amazing intro with a cover of Leonard Cohen’s “Everybody Knows” by Sigrid playing in the background. And there are numerous special effects, just like Snyder likes (though their execution is not always perfect). It all adds up to a unique visual style and where Snyder’s work is really visible, the movie looks fantastic. Whedon’s work is easily recognisable where it’s about character relationships. The man behind “Buffy: The Vampire Slayer” and “Firefly” directs the actors in a wonderful way and brings levity to his material. 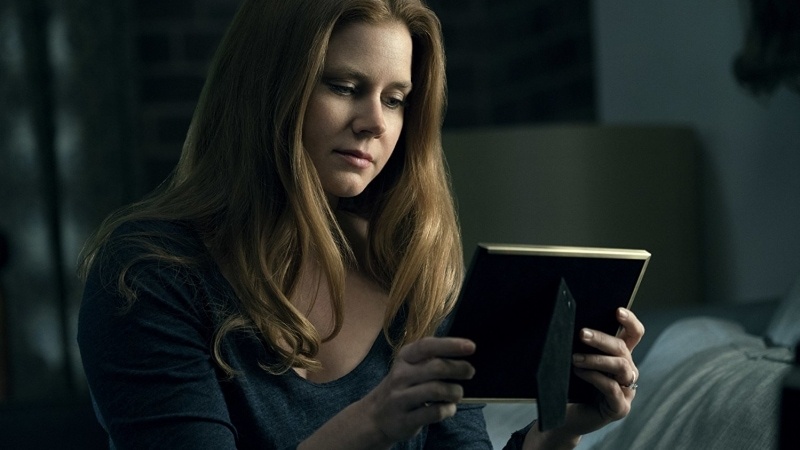 All the connective tissue between Snyder’s big moments works really well. As I’ve said above, Whedon also oversaw the postproduction process, editing included. And although his style is distinctly different from that of Snyder’s, the final product is by no means chaotic. The director makes the film coherent enough that if nobody told you Snyder stepped down, you probably wouldn’t notice. So you can breathe easily, “Justice League” is not a Frankenstein’s monster of a movie like, say, “Superman II” (do you remember how Christopher Reeve’s physical looks and Margot Kidder’s hairstyle changed over the course of the film?). Whedon’s work will also appeal to those, who complained about “Batman v Superman’s” lack of coherency. 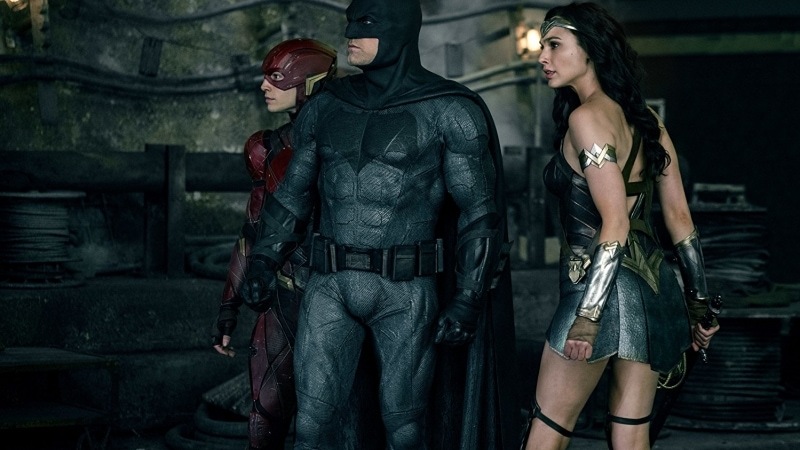 “Justice League” doesn’t jump from scene to scene so often and all the plot threads come together to make a comprehensible story right away. It’s all more casual-viewer-friendly and you don’t have to pay a lot of attention to catch all the story nuances. And there is also something for those, who didn’t like the desaturated colour palette of the previous movies. 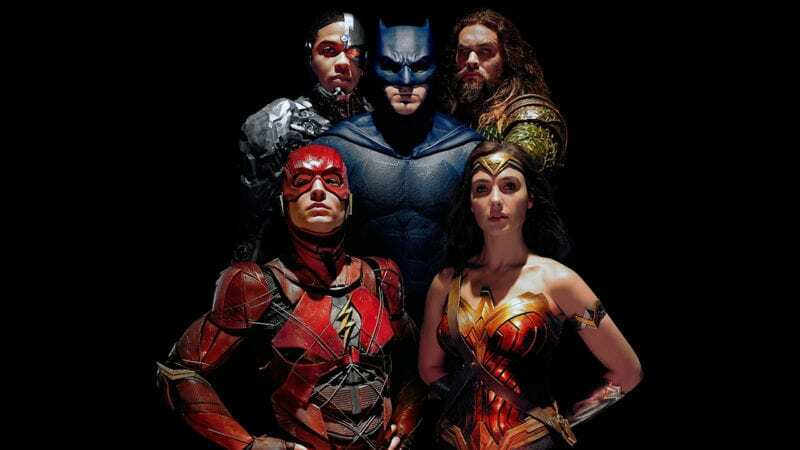 “Justice League” is brighter and more colourful. There is just one problem: sometimes the story feels rushed and some scenes would be much better if they were a bit longer. It’s particularly visible during the flashback sequences, which must have been significantly shortened. So, how about the acting? Well, the performances may be not Oscar-worthy (that’s not the kind of the movie), but the actors are dedicated and their roles believable. Ben Affleck continues his work from “Batman v Superman”, but he also brings levity to the character. It’s a good direction and I hope we will see him as Batman again (despite the rumours he wants to ‘segue out’ of DC Films). 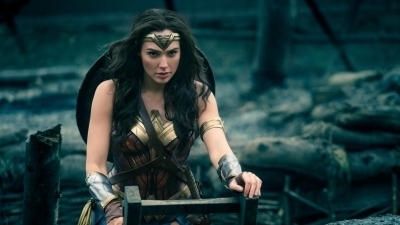 Gal Gadot is, of course, wonderful as Wonder Woman: mature, caring, hopeful and loving. Ezra Miller was a fantastic choice for Flash. He has been enthusiastic about the role since the very beginning and you can tell it. I hope we get to see his solo film soon. 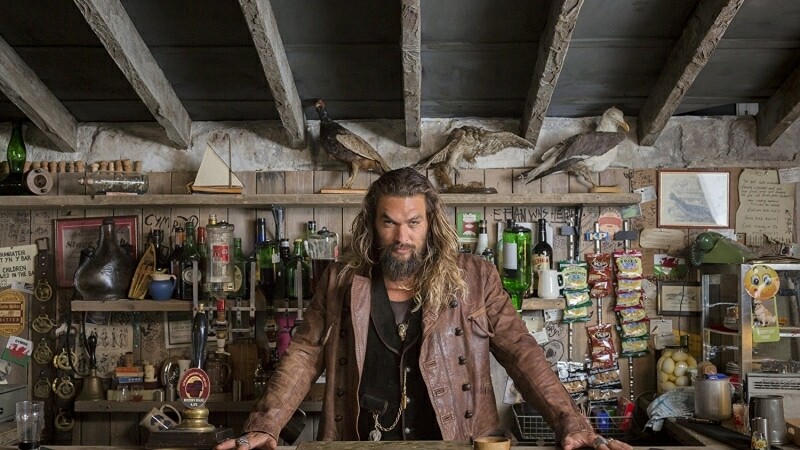 Jason Momoa casting as Aquaman may have come as a little surprise because he’s more like the 1990s rendition of the character than his traditional image. But it works a charm, even though Momoa just acts like himself. Ray Fisher as Cyborg tends to walk around with a sad face, but eventually, he proves his true acting abilities and convincingly shows the characters dilemmas. Henry Cavill as Superman — especially a bit more optimistic version of the character — is fine as he always is. I’m not surprised that he just had to wear the classic Superman suit in order to be cast in „Man of Steel”. Cavill IS Superman and it shows. The worst of all is Ciarán Hinds as Steppenwolf, but that’s the script’s fault. In the material which found itself in the final cut of the film, Hinds fails to make his villain scary. Which is a pity, because that should be his most important trait. How are the co-stars? Not bad. We get Jeremy Irons’ ironic Alfred, J.K. Simmons’ impressive commissioner Gordon (I thought nobody could beat Oldman in this role, but I was wrong), Amy Adams’ humane Lois Lane and Diane Lane’s grieving Martha Kent. They all do a good job, even if their roles are small. Billy Crudup, Amber Heard and Joe Morton as Henry Allen, Mera and Silas Stone respectively are featured at an even smaller capacity. 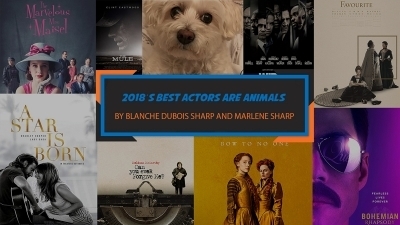 It’s difficult to say something about them (except, maybe, for Morton, as he’s vital to the plot, but his role is not really distinctive), but they leave you wanting more of them (especially Amber Heard!). 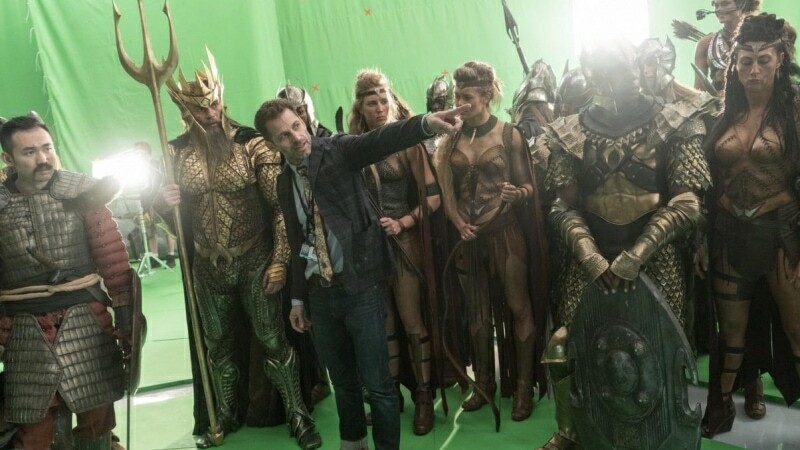 This time, Zack Snyder invited Fabian Wagner to shoot the film. It’s the third cinematic movie for the German cinematographer, although he has worked in television quite often (he shot some episodes of “Sherlock” and “Game of Thrones” among others). Under the watchful eyes of both directors, he does a good job, particularly with the visual references to comic books. But the more personal scenes also look good. “Justice League” was edited by as many as three persons and it should make you imagine, how complex an undertaking it must have been. First, we have David Brenner, Snyder’s collaborator on “Man of Steel” and “Batman v Superman”. He probably edited the material by Zack and was then succeeded by Richard Pearson (he was one of the editors behind the terribly flashy “Quantum of Solace” – ugh!) and Academy Award winner Martin Walsh (who also edited “Wonder Woman”). They make the impossible come true and combine the footage by both directors into a coherent film. At times their work feels slightly rushed, but generally speaking: they did well. I like the production design of “Justice League”. Most of the costumes are fantastic (except for a few bikini armours for Amazons — thank God only a couple of them are dressed like that). The key locations are very detailed. It’s a pity, though, that so few sets were practical, as some of the computer-generated backgrounds aren’t particularly impressive. Talking about computer-generated imagery, unfortunately, here’s where the film falls flat. Some of the effects are good. The whole concept of Flash running in slow-motion surrounded by electric sparks, for example, is brilliant. But there are a few things that don’t work as well as they should. I’ve already mentioned the backgrounds. The second thing is the villain. While his appearance is quite consistent with how he’s depicted in the comic books, the computer model looks like it needs more work. And the third thing, perhaps the most distracting one: Henry Cavill’s moustache. Or rather the lack of it. Because during the reshoots Cavill was also working on „Mission Impossible”, where he’s apparently set to portray a Tom Selleck lookalike, he was obliged not to shave. And so, his fantastic chevron moustache had to be digitally removed — a feat at which the digital artists failed. 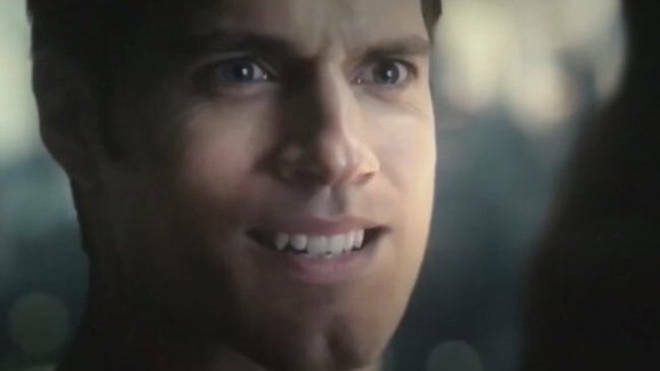 As a result, Cavill’s upper lip looks awkward in many sequences, causing the effect of the uncanny valley. 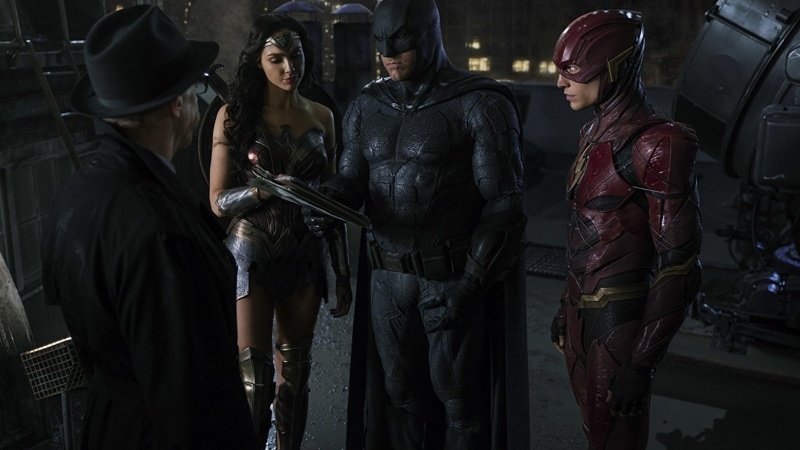 Among many turmoils surrounding “Justice League” production, was the replacement of its composer. Junkie XL, who was supposed to write the music for the film, eventually did not work on it, and instead, the veteran music writer Danny Elfman was brought on board. And while I would love to listen to the former’s tracks (he’s more innovative), I must say Elfman’s work is quite satisfying. 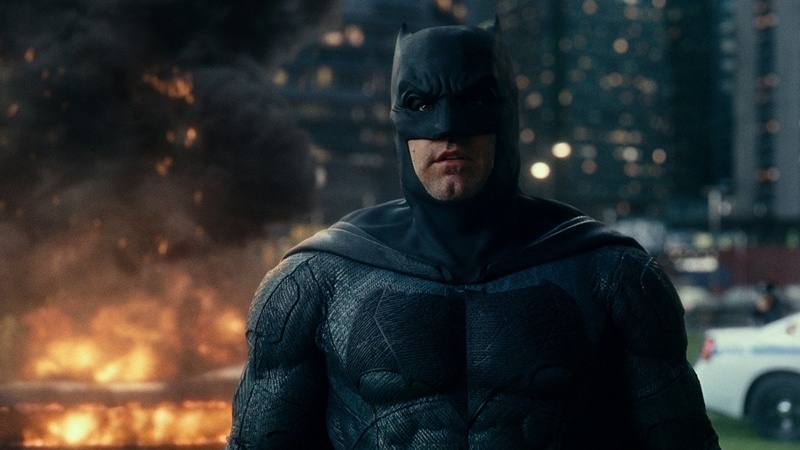 He alludes to his previous compositions (whether consciously, by working in his iconic Batman theme, or less consciously, borrowing some notes from the second “Avengers” movie) and comes back to the tracks by previous musicians (there’s a variation on Williams’ “Superman’s Theme” and a new arrangement of Zimmer’s “Is she with you”). He, of course, creates his own material, out of which the main theme and the one accompanying Flash are the most distinctive ones. So what’s the final judgement? If you didn’t like Snyder previous DC films, you’ll probably put “Justice League” just a tiny bit behind “Wonder Woman”. For me — and I’m speaking as a fan of both “Man of Steel” and “Batman v Superman” — it was a little bit worse than the aforementioned three, but definitely much better than „Suicide Squad”. It’s not a superb film, but definitely one that will keep you entertained. So if you’re a DC Comics fan, you should certainly see it. Because “Justice League” is polarising fans and critics all around, we are very curious about your own opinions. Feel free to write a comment below or on our Facebook, Twitter or Google+. We’ll be happy to discuss with you!